Basil is commonly used fresh in cooked recipes. It is generally added at the last moment, as cooking quickly destroys its flavour. The fresh herb can be kept for a short time in plastic bags in the refrigerator, or for a longer period in the freezer. Fresh basil is very delicate, and will turn brown if it gets very hot or if it’s exposed to air for long periods of time. 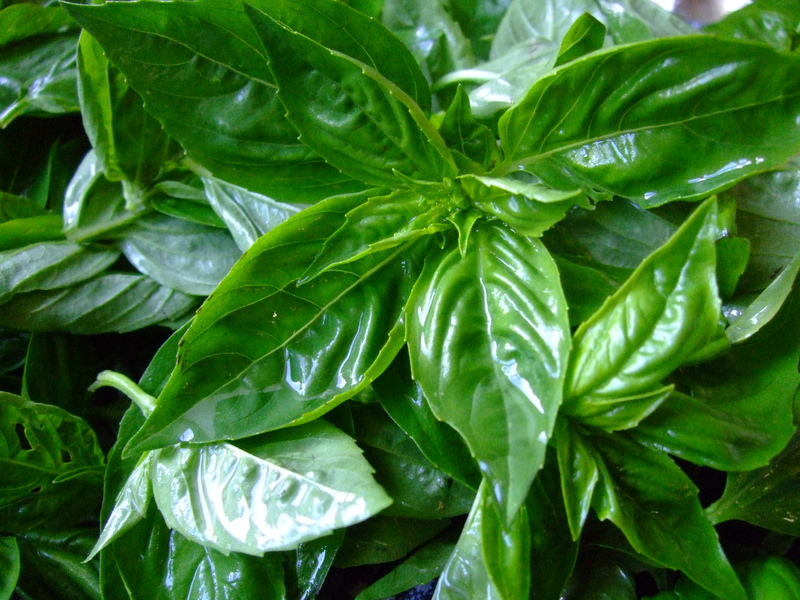 Basil is one of the main ingredients in Pesto. Playing around with this wonderful herb, I discovered some amazing recipes, such as a tasty Cheese Dip, Basil Butter and Creamy Basil Dressing which is great for summer salads. 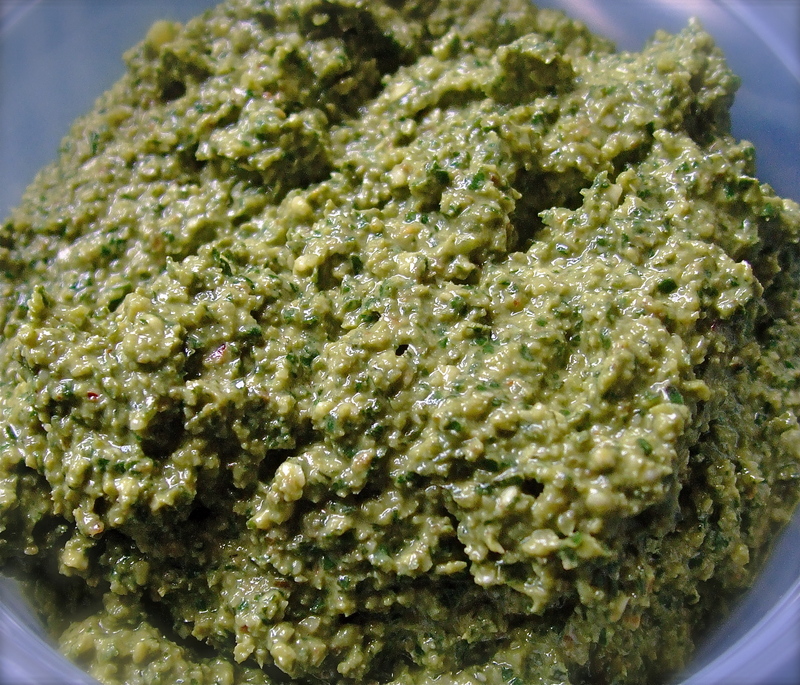 Pesto is an aromatic herb paste, traditionally made from fresh basil, garlic, Parmesan cheese, pine nuts, and olive oil. It is most commonly used as a pasta sauce. Many cooks use fresh spinach as well as basil in their pesto to help maintain its brilliant green color. Since pesto has a very concentrated flavor, make an amazing pasta sauce by reserving a cup of the pasta cooking water when you drain the pasta. Return the drained pasta to the hot pan, add a tablespoonful or so of pesto, and add the water a bit at a time until the sauce reaches the desired consistency. The starch in the water will help to thicken the sauce and allow it to coat the pasta. Whirl in a food processor until well combined and pieces of basil are very small. When mixing pesto with pasta, potatoes, or risotto, stir it in at the last-minute, just before serving. Keep pesto looking fresh and green by covering the top with a thin layer of olive oil or with a sheet of plastic wrap directly on its surface; this will keep it from oxidizing and turning brown. One way to freeze pesto in manageable portion sizes is to freeze it in an ice-cube tray, and transfer the cubes to a heavy-duty plastic freezer bag, or what I do is use a small ice cream scoop and put scoops on a plastic wrapped cookie sheet, freeze and once frozen, place in airtight freezer bags. 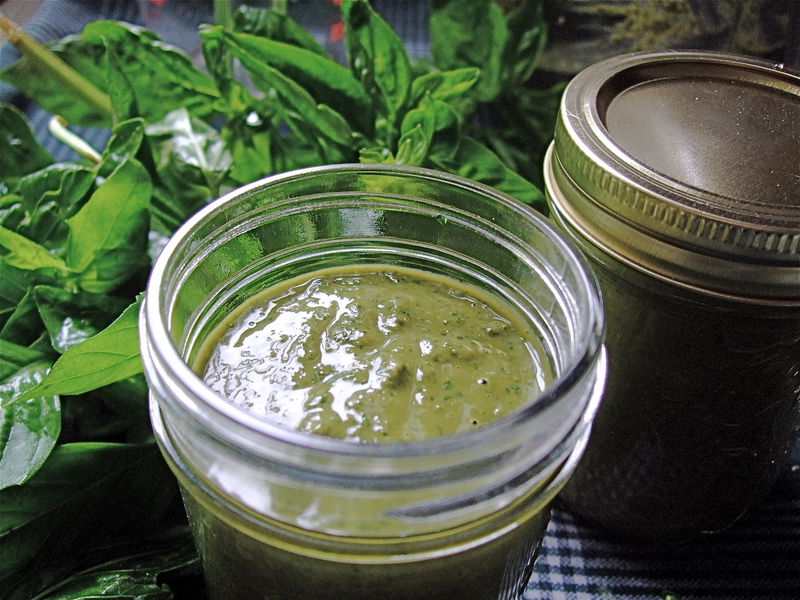 Thaw frozen pesto in the refrigerator or in the microwave on medium power just until room temperature. Whip ingredients in food processor until very creamy. Put in air tight containers and refrigerate to freeze for future use. Great on sandwiches. Amazing when used as broiled garlic bread, or simply slathered on steaming new potatoes. Blend until pureed. Transfer to clean jar. Store in refrigerator. Each time you use it stir and then top with a thin layer of oil. It will keep one year by doing this. This is good on grilled chicken or fish, stirred into soups or mixed with sun-dried tomatoes and broiled on bread. Mix ingredients well in food processor, chill for 2 hours and serve with fresh veggies for dipping or chips. Blend in a food processor until very creamy. Refrigerate and use over green salads, or in pasta salads. Amazing added to potato salads. 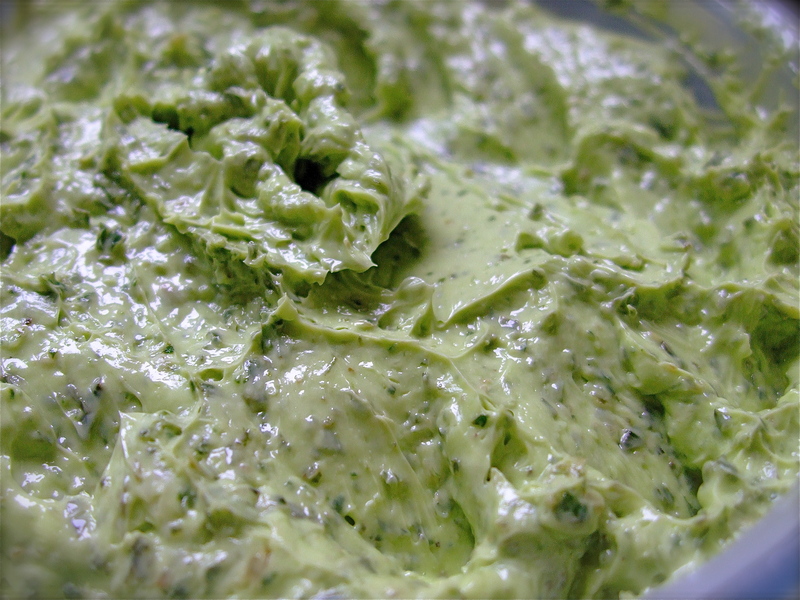 This entry was posted in Uncategorized and tagged Basil, Dips, Dressings, Herbs, Pasta. Bookmark the permalink.